The amount of 5 USD has been withdrawn from your Perfect Money account. Accounts: U10253714->U13577143. Memo: Shopping Cart Payment. Deposit to lightbitcoin.net User viking88hp.. Date: 14:44 06.01.17. Batch: 159435389. The amount of 50 USD has been withdrawn from your Perfect Money account. Accounts: ->U13577143. Memo: Shopping Cart Payment. Deposit to lightbitcoin.net User HyipHunter_biz.. Date: 15:22 06.01.17. Batch: 159439073. $0.25 has been successfully sent to your PerfectMoney account U10253714. $0.05 has been successfully sent to your Payeer account P20207670. The amount of 2.5 USD has been deposited to your Perfect Money account. Accounts: U13577143-> Memo: API Payment. Withdraw to HyipHunter_biz from lightbitcoin.net.. Date: 16:27 06.01.17. Batch: 159446058. The amount of 40 USD has been withdrawn from your Perfect Money account. Accounts: U2631114->U13577143. Memo: Shopping Cart Payment. Deposit to lightbitcoin.net User myinvestblog.. Date: 15:12 06.01.17. Batch: 159438162. The amount of 20 USD has been withdrawn from your Perfect Money account. Accounts: U7875094->U13577143. Memo: Shopping Cart Payment. Deposit to lightbitcoin.net User sana.. Date: 16:02 06.01.17. Batch: 159443129. The amount of 1 USD has been deposited to your Perfect Money account. Accounts: U13577143->U7875094. Memo: API Payment. 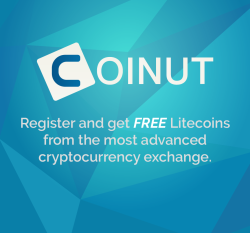 Withdraw to sana from lightbitcoin.net.. Date: 18:17 06.01.17. Batch: 159455295.